What Can I learn in an Online Master’s in Nursing Program? What Can I do with a Master’s in Nursing Degree? How Much Can I Make with a Career in Nursing? If you’re looking to expand your nursing career beyond the traditional care of patients into hospital administration or leadership, you might be considering an online master’s degree in nursing. Find out what courses and specializations are typically offered in this advanced degree and what career opportunities it can open up. Plus, discover which colleges and universities offer the best online programs. In developing these rankings for the best online master’s in nursing programs, we gathered data from the Integrated Postsecondary Education Data System (IPEDS), the U.S. Department of Education and published materials from the universities highlighted on the list. All schools on this list are fully accredited. Independence University, a private nonprofit online institution, offers 2 Master of Science in Nursing (MSN) degrees that can be earned with online coursework. Students in the MSN in Nursing Education program learn about nursing theory and current trends, teaching techniques and methods, to become educators in a range of health care settings. The MSN in Nursing Administration degree program prepares graduates for entry-level leadership, management and administrative positions throughout the health care industry. Both degree programs require 56 credit hours of coursework and are designed to be completed in 15 months. All coursework is provided online. However, students must participate in a practicum experience typically completed at an approved facility in the student's local community. To be admitted into either Independence University MSN program, an applicant must possess a Bachelor of Science in Nursing (BSN) degree from a CCNE- or NLN-accredited program earned with a cumulative GPA of 3.0 or better. Other requirements include a current unrestricted RN license from the state in which the student's practicum assignments will be completed, and a minimum of 1 year of nursing practice within the last 5 years. IU distance learners have access to a number of support resources, including academic assistance through the Student Success Center and career counseling services through IU's Career Services department. Additionally, all IU students are assigned an associate dean who acts as their personal learning coach. The University of Alabama's fully online Master of Science in Nursing (MSN) degree is designed for current RNs interested in pursuing a nursing specialization while seeking to advance their careers in the healthcare field. The program offers 3 concentrations. The Clinical Nurse Leader concentration (39 credit hours of coursework) prepares nurses as decision makers in coordinating care of distinct patient groups. The Case Manager concentration (39 credit hours of coursework) is for nurses interested in the care of patients in a specific age group or those diagnosed with a particular disease. Graduates with a Nurse Administrator concentration (32 credit hours of coursework) focus on health care policy and organizational operations issues while serving in executive-level positions. All 3 programs culminate in a practicum experience, and each program offers a thesis option. Admission into UA's MSN program requires a bachelor's degree in nursing earned with a minimum 3.0 overall GPA and current unencumbered RN license. Support services for distance students include career and academic counseling, writing assistance and technical support. South Dakota State University's online Master of Science in Nursing (MSN) program is offered fully online, with 3 specializations: Clinical Nurse Leader, which prepares nurses for leadership positions throughout the health care field and qualifies them to apply for AACN Clinical Nurse Leader certification; Nurse Educator, which prepares graduates to create and evaluate nursing education programs and provides eligibility for the NLN's Certification for Nurse Educators; and Nurse Administrator, which prepares nurses for advanced practice in nursing leadership, education, clinical practice and administration. SDSU additionally offers a Family Nurse Practitioner specialization in a hybrid format for students seeking the knowledge and skills for advanced practice care of patients in all stages of life, with a particular emphasis on rural health care. Credit hour requirements and program lengths vary depending on the chosen specialization. Admission requirements include a bachelor degree in nursing earned with minimum 3.0 GPA and current RN licensure. Students must also have completed 1500 hours of RN practice prior to enrollment in the first clinical nursing course. SDSU student support resources include career and personal counseling, disability and veteran's services and tech support. Academic advising is available through Nursing Student Services. 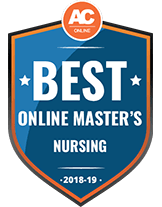 The purpose of the University of Central Florida's online Master of Science in Nursing (MSN) degree prepares RNs for leadership positions as nurse educators, advanced practice nurses and managers in all sectors of the health care field. The degree is offered with 3 specialization tracks: Nurse Educator (35 credit hours), which prepares graduates for teaching on college and university campuses and in private settings; Leadership and Management (36 credit hours), designed to prepare nurses to take leadership positions throughout the health care industry, and; Nursing and Health Care Simulation (31 credit hours), for nurses seeking to become simulation-based educators in university and private settings. Each of these MSN tracks can be completed with online coursework, although not all elective options or program prerequisites may be available online. Students are also required to complete a 60 clinical hour practicum, which is typically completed with an approved preceptor in the student's local area. An additional 180 clinical hour internship is required for Nursing and Health Care Simulation students. Admission into UCF's online MSN program requires a BSN from an accredited institution and a current RN license. Applicants with an RN license and non-nursing bachelor's degree may also be admitted, but must complete 3 prerequisite courses with a "B" or better prior to starting their graduate coursework. An extensive array of support resources for online students can be accessed through UCF's Online Student Connect Center. Liberty University, a private, Christian-affiliated institution, offers a Master of Science in Nursing (MSN) degree with 5 specialization options: Nursing Administration, Nurse Educator, Nursing Informatics, MSN/MBA dual degree and MSN/MSHA dual degree. All specializations feature coursework that is completed 100% online in an accelerated 8-week course format. However, the Nursing Administration and Nurse Educator specializations require 200 clinical hours, typically completed as part of the student's current employment. Regular MSN tracks require 42 units of coursework, which may be completed in as little as 12 months. The 2 dual-degree programs each require completion of 60 units of coursework. Up to 50% of the required course credits may be transferred into LU's MSN degree program. Distance learners can access an array of online support services and resources through LU's Online Student Life program. Resources include counseling services, support groups, IT assistance and even prayer requests. Admission requirements into any of the 5 MSN degree programs include a BSN degree from a properly-accredited college, university or nursing school and a current and active RN license within the U.S. Applicants with a non-nursing bachelor's degree may also be admitted but must complete 5 specified bridge courses during their first year of degree study. The private, Catholic-affiliated University of Mary has been in the business of training nurses since its establishment in 1959. Today, UM offers 5 Master's of Science in Nursing (MSN) programs, each featuring fully online coursework. MSN options include both an ADN to MSN and BSN to MSN in Nursing Leadership and Management, a BSN to MSN Nurse Educator, an MSN in Nursing and Health Care Informatics and a dual degree MSN-MBA in Health Care Administration. While all coursework is delivered online, students are required to complete 500 hours of practical leadership experience (with the exception of the Nursing and Healthcare Informatics, which requires 360 clinical hours), normally at the student's current place of employment. Total credits needed for graduation and program completion times vary by specific program. Admission requirements for all 5 MSN programs include a BSN degree (with the exception of the ADN to MSN, which requires a nursing associate degree or diploma) earned with an overall GPA of 2.75 or better and a current unencumbered RN license. UM online students have access to a wide range of support resources, including personal counseling through the Counseling Services program and academic assistance through the Student Support Center. The Master of Science in Nursing (MSN) degree offered by Maryland's public Towson University employs a "population-based" approach that teaches nurses the knowledge and skills needed to help patients navigate the complexities of today's health care system. The program is available with 2 concentrations: Nursing Education, which prepares graduates for teaching at nursing schools and for education and staff development positions at health care agencies; and Clinician-Administrator Transition, which prepares graduates for leadership positions throughout the health care field. TU's online MSN program is open to holders of a bachelor's degree in nursing (with a minimum 3.0 GPA) who are licensed or eligible for licensing as an RN in the State of Maryland. Students must complete 36 units of coursework. The program is offered in a hybrid format that alternates weekly online coursework and weekday evening on-site classroom instruction. Student support resources include career and academic counseling, childcare services from the University Child Care Center, financial aid assistance and much more. California State University Chico's online Master of Science in Nursing (MSN) degree is designed to meet the needs of rural area nurses. The program prepares its graduates to be educators and leaders in health advisory positions at state agencies and private nursing facilities, as well as on nursing education faculties. The degree is offered with 2 concentration options: Nurse Educator and Nursing Leadership. Both options require completion of 30 units of coursework and feature theoretical course content that is presented entirely online. However, both concentrations include a 4-unit practicum requirement that must be completed in person working closely with an approved experienced nurse mentor (nurse educator or nurse leader) typically residing in the student's local community. The practicum requires 180 hours of student time with the nurse mentor. Admission requirements for CSUC's online MSN program include an bachelor's degree in nursing, 3.0 minimum GPA on the last 60 units of undergraduate nursing coursework, and a minimum GRE writing analytics score of 4.0. Support services for online students are available from the Office of Graduate Studies, Student Computing Services and the Advising and Financial Aid Offices, all of which can be accessed through the CSU Chico Home Page. IT assistance is available through IT Support Services. Midwestern State University offers online graduate nursing programs through its Wilson School of Nursing. Degree seekers can pursue a Master of Science in Nursing in 1 of 3 majors: Family Nurse Practitioner, Psychiatric Mental Health Nurse Practitioner or Nurse Educator. Students at Midwestern State learn advanced nursing practices in patient care, as well as academic research skills. Applicants should have a Bachelor of Science in Nursing degree from a nationally accredited program and a current RN license to practice in Texas and the student's state of residence. Competitive applicants have an undergraduate GPA of 3.0 or higher. Prospective students must also submit their official transcripts and answers to the supplied essay questions. Students who pass the first round of the admissions process will participate in a personal interview with the graduate program coordinator. This is a competitive program and incoming learners are expected to have documented work experience in the field. Online students at Midwestern State have access to counseling services, student leadership and involvement opportunities, financial aid support, tutoring and career planning services. Online students can pursue a Master of Science in Nursing degree entirely online at the University of Central Missouri. Degree seekers in this program develop advanced nursing and healthcare practices and learn to conduct original academic research. Students choose between 2 emphasis areas: Nurse Educator and Family Nurse Practitioner. Core courses include Methods of Research in Nursing, Organizational Leadership in Complex Health Systems and Health Care Policy and Advocacy. Students in both tracks must complete a final capstone clinical experience for graduation. Those pursuing the Family Nurse Practitioner track complete a series of practicum experiences to be eligible for graduation. Incoming students must have a bachelor's degree in nursing from a program accredited by the National League for Nursing or the Commission on Collegiate Nursing Education. Competitive applicants have an undergraduate GPA of 3.25 or higher and at least 1 year of work experience in the field as registered nurses. UCM subscribes to a rolling admission policy and reviews applications throughout the year. Students must earn a "C" or higher in each class to remain in good standing. Student services available at UCM consist of career services, academic advising, tech support and the Center for Multiculturalism and Inclusivity. 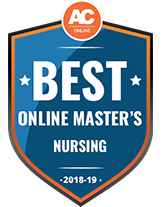 Ohio State University has an online program for distance learners interested in earning a Master of Science in Nursing. Located in the College of Nursing, graduate students prepare for careers in a variety of health care settings, including private practices, governmental agencies, hospitals and clinics. OSU offers 4 specialized tracks for distance learners: Family Nurse Practitioner, Neonatal Nurse Practitioner, Psychiatric Mental Health Nurse Practitioner and Clinical Nurse Leader. Some of the core courses for students in this program include Innovation Leadership in Advanced Nursing Practice, Health Promotion and Disease Prevention Across the Life Span and Quality Improvement and Informatics. Distance learners have access to academic services, financial support, health services and student discounts. Academic services include tutoring, support for non-native English speakers, career services and a testing center. OSU's online nursing program is not available in all states. Prospective students should confirm that this degree is available to them before applying. Applications must include official transcripts and standardized test scores from the GRE or GMAT. Competitive applicants have a baccalaureate or professional degree from an accredited college or university with a 3.0 GPA or higher. Ramapo College of New Jersey is a public liberal arts college founded in 1969 with a student population of 5,200. Students can pursue an online Master of Science in Nursing degree and choose from 3 major options: Nursing Education, Nursing Administration or Family Nurse Practitioner. Depending on the concentration, students complete 33-49 credits for graduation. For incoming students who possess an RN license but do not have a baccalaureate degree in the field, RCNJ offers a special transition option wherein new students complete the necessary undergraduate coursework before proceeding onto graduate-level courses. Nursing students in this program complete a significant number of clinical practicum hours, which varies for each major. Prospective students must submit a completed graduate application online consisting of official transcripts, a personal statement, 1 letter of recommendation and a resume. Competitive applicants have a 3.0 undergraduate GPA or higher, 2 years of relevant work experience and a valid RN license. Online students have access to the Center for Student Involvement, career services, academic coaching, health and counseling options and support services for the LGBTQ community. Northern Arizona University offers a hybrid Master of Science in Nursing - Generalist degree. Accredited by the Commission on Collegiate Nursing Education (CCNE), students in this generalist program develop a plan of study with their advisers to configure an emphasis area. Nursing students complete at least 30 units of graduate-level courses, including a thesis or final project. Required courses at NAU include Advanced Principles in Evidence-based Practice, Rural Theory and Health Policy and Applied Pathophysiology for APNs. Upon graduation, students are well-versed in clinical practice and patient care, critical reasoning, communication and leadership skills and global health issues. Students at NAU may also choose to pursue a Family Nurse Practitioner track. All master's coursework must be completed within 6 consecutive years, but most students typically finish within 2 years. Prospective students should have an undergraduate degree from a regionally accredited institution with a GPA of 3.0 or higher. Applications should include a copy of one's current RN license, 3 letters of recommendation, answers to the essay questions supplied by the department, fingerprint clearance and documentation of all clinical health requirements. Admission to this program is highly competitive and merit-based. California University of Pennsylvania offers a 100% online graduate nursing degree. This flexible program is for current registered nurses with busy schedules who wish to advance their careers and increase their earning potential. Nursing students can pursue a Master of Science in Nursing Administration and Leadership or Nursing Education. The Leadership degree prepares students for management roles in nursing and hospital administration. The Education degree helps professionals enter academically based teaching and research careers in the field. Part-time students at CUP can complete the degree in 20 months. The Education degree requires slightly more coursework and takes about 2 years to complete. Graduate students must complete a capstone project as well as 150 practicum hours with a faculty member. Prospective nursing students should have a Bachelor of Science in Nursing degree with a 3.0 GPA or higher. Applications for this graduate program should include official transcripts, a copy of one's current RN license, a professional resume and an essay outline in career goals and objectives. The School of Nursing at Western Carolina University has a Master of Science in Nursing degree for distance learners. Students select a major in Nurse Educator, Nursing Leadership or Family Nurse Practitioner and engage with a rigorous, hands-on curriculum that prepares them for a variety of leadership positions in the health care industry. While all required courses are completed online, distance students must complete a practicum at an approved location in their area. For graduation, nursing students complete a thesis or final project in addition to passing comprehensive exams. This degree requires 40-52 semester hours of coursework, depending on the major, and can be finished in approximately 2 years. The Family Nurse Practitioner degree includes an additional 640 total clinical hours. Students may enter during the fall or spring semesters and typically take 6-9 credits per semester as part-time students. Incoming students should have a bachelor's degree in nursing or a related area from a regionally accredited college or university with a 3.0 GPA or higher. Prospective students should be registered nurses with licensure to practice in their state and have 1 year of work experience in the field. Applications must include contact information for 3 recommenders, a resume and personal statement. Online students have access to the school's Career and Professional Development Center and service learning and volunteer opportunities. The University of Toledo offers a Master of Nursing program with several major options. The program is primarily designed for students who already possess a baccalaureate degree in nursing and wish to become Advanced Practice Nurses or Nurse Educators. Toledo offers master's-level majors in Adult-Gerontology Primary Care Nurse Practitioner, Family Nurse Practitioner, Primary Care Pediatric Nurse Practitioner, Psychiatric Mental Health Nurse Practitioner, Nurse Educator and Graduate-Entry Clinical Nurse Leader (CLN). The CLN major is designed for online students with a bachelor's degree who want to become a registered nurse. Depending on the major, nursing students at Toledo complete 51-66 semester credits, including clinical experiences, research projects or a master's thesis, for graduation. Prospective students should have a 3.0 GPA and undergraduate work and must submit their official transcripts, personal statement, professional resume, 3 letters of recommendation and official GRE scores. Students who pass the first round of application reviews may be required to participate in an interview with the nursing faculty. Toledo's College of Nursing boasts a hands-on learning lab that teaches students how to use the latest technology in the field through 3D simulations and virtual reality programs. Accredited by the American Association of Colleges of Nursing, the University of Iowa offers a Master of Nursing-Clinical Nurse Leader program. Courses for this 39-credit-hour degree may be completed entirely online except for 1 on-campus class: Health Promotion and Assessment for Advance Clinical Practice. Additionally, students must visit campus for orientation before beginning their first semester and at the end of their last semester to present their capstone project. Nursing students at UI complete a total of 490 clinical hours throughout the course of the degree, which includes participation in 1 practicum. After completion of the coursework, students must pass the Clinical Nurse Leader exam. While the GRE is not required for admission, all incoming students must possess an RN license. Applicants should have a baccalaureate or advanced degree in nursing with a minimum 3.0 GPA and 1 year of experience working in the field. Applications must include a statement of purpose, professional resume, a copy of one's current RN license, contact information for 3 recommenders and a statement of disclosure. Fitchburg State University is a public institution with approximately 7,000 students. Online students can pursue a Master of Science in Nursing degree with a specialization in forensic nursing. This online program is designed for registered nurses who wish to advance their careers in the health care system and develop a forensic science-based skillset. Additionally, this program prepares nursing students for doctoral study in the field. Students in this program are typically enrolled part-time and take 6-7 credits per semester. Core nursing courses at Fitchburg State include Nursing with Diverse Populations, Advanced Clinical Concepts, Nursing Theory and Advanced Pathopharmacology and Epigenetics in Forensic Nursing. In total, students must complete 39 credit hours in addition to 420 hours of clinical practicums. In most cases, online students complete the degree in approximately 3 years. Applicants must submit official transcripts, 3 letters of recommendation, a personal essay and pass a background check. Additionally, applicants should have a current Registered Nursing license. Graduates of this program often pursue careers as crime scene investigators, legal nurse consultants, risk management specialists and forensic mental health consultants. In Boise State University's Master of Nursing in Adult-Gerontology Nurse Practitioner program, students learn to become expert caretakers for patients from adolescence through adulthood. Online students choose between specialization in Acute Care or Primary Care and complete 50 credit hours over the course of 9 semesters. For full-time students, this endeavor typically takes 3 years including summer semesters. Additionally, Boise State nursing students complete 700 total clinical hours, 576 of which take place in a supervised, direct patient care setting. Additionally, master's students must attend 3 week-long, on-campus intensive summer sessions. Online students pay $750 per credit hour regardless of their location. Prospective students are required to have 1 year of experience working with patients in an emergency room or another critical care environment. Boise State gives preference to applicants who specify an interest in Primary Care and have the requisite experience before applying. Online students have access to tutoring, career success workshops and academic coaching. Learners can also receive feedback on their homework and writing assignments through the Boise State Writing Center. Graduates of this program work in community health centers, hospice centers, correctional facilities and other private and public offices. Grand Valley State University offers a Master of Science in Nursing in a hybrid format. Established in 1960, nursing students at this public institution engage with a flexible curriculum and develop leadership skills through evidence-based studies. Graduate students in this program train to be advanced generalists that can serve the health care system in various patient-centered roles. For graduation, hybrid students complete a total of 44 synchronous credit hours over the duration of 6 full-time semesters. The core nursing curriculum includes classes such as Biostatistics for Evidence-Based Practice, Pathophysiology for Advanced Nursing Practice, Advanced Health Assessment and Theoretical Basis for Clinical Reasoning. Applications must include official transcripts, professional resume and a personal goal statement. Applicants should have a 3.0 GPA or higher and current nursing licensure to practice in Michigan. Additionally, applicants must pass a background check and drug screen and engage in an interview with the nursing faculty for full consideration. The University of Cincinnati is a public research institution founded in 1819. Accredited by the Commission on Collegiate Nursing Education (CCNE), UC offers an online Master of Science in Nursing in Adult-Gerontology Primary Care NP program. The program is designed for professionals who already hold a Bachelor of Science in Nursing and wish to improve their level of knowledge in the nursing field. Online UC students need to complete 44 credit hours, 504 for clinical hours and 42 lab hours for graduation. This is an accelerated program that many distance learners complete in as few as 2 years. UC nursing graduates can sit for the American Nurses Credentialing Center (ANCC) or the American Academy of Nurse Practitioners (AANP) certification exam. Students are eligible for licensure within the state of Ohio. Graduates of this program move on to careers in rehabilitation centers, school campuses, community clinics and private practices. Prospective students should have a BSN degree with a minimum 3.0 GPA. Applications should include 3 letters of reference, official transcripts, an outline of personal goals and a professional resume. UC expect students to have at least 1 year of work experience before applying. Established in 1964, Cleveland State University is a public institution with more than 17,000 students. Online learners can pursue a Master of Science in Nursing degree entirely online. Master's students choose between specialized nursing tracks in Specialized Populations, Nursing Education, Forensic Nursing and Clinical Nurse Leader. Depending on the concentration, CSU students complete 31-38 credit hours at $531.40 per hour. The program is designed for registered nurses who desire to have specialized credentials and broaden their knowledge of the field. CSU prides itself on providing instruction in areas related to general population health care. Courses are delivered asynchronously and include Theory Development in Nursing, Evidence-Based Nursing Practice, Population Assessment and Forensics Methodologies. All CSU graduate students complete a clinical practicum in addition to a final project or traditional thesis. Prospective master's students should have a bachelor's degree in nursing, undergraduate experience in statistics and a license to practice nursing in the state in which they intend to complete their practicum. Ferris State University is a public institution founded in 1884. Distance learners can take advantage of its online Master of Science in Nursing program. This program is designed for students who hold a bachelor's degree in nursing and wish to develop further their understanding of clinical care in the field. Aside from an in-person, 4-hour mandatory orientation session, this is a fully online program that offers 3 specialty concentrations in Nursing Education, Nursing Administration and Nursing Informatics. Advanced students may be able to take courses for more than 1 specialty concentration or have the option to earn an additional graduate certificate. All students, regardless of concentration, complete 2, 120-hour practicums. Master's students at Ferris State typically take 1-2 courses per semester. Online students at Ferris State have access to class orientation modules, career services, academic advising and technical support. Applications should include official transcripts, professional resume, 3 letters of recommendation and a writing sample.This is a competitive program that admits only 20 students per academic year. Scholarships are available for nursing students in addition to financial aid provided by the state of Michigan and outside professional organizations such as the Michigan Organization for Nurse Executives and the American Association of Critical Care Nurses. Ball State University has a Master of Science in Nursing program for online students. Distance learners in this program choose 1 of 3 concentrations to prepare for their desired career: Nurse Educator, Nurse Administrator or Family Nurse Practitioner. Ball State delivers courses asynchronously that online students complete on their own time with no on-campus obligation. Master's students need to finish a total of 36-47 credit hours, depending on the concentration. Graduate students in the Nurse Educator or Administrator concentration must complete a 180-hour practicum during their final semester. Practicums can be completed at an approved location within a student's immediate geographic area. Those in the Family Nurse Practitioner track complete 690 supervised clinical hours and will be eligible to apply for the FNP certification exam upon graduation. Online students at Ball State have access to the same rigorous curriculum and support services offered to students on the main campus. Services for online students include academic advising, peer mentoring, career planning and technical support. Below is a list of common courses found in online nursing master’s programs. While courses vary by institution, most schools cover similar or overlapping topics. Covers best practices and topics for teaching nursing as a profession. This course examines pedagogies, adult learning theories, learning styles, learning environments and the evaluation and testing methods in nursing education. An examination of effective leadership skills in a healthcare setting, managing staff and developing talent. Business and leadership models are examined from various viewpoints, with special focus on improving leadership in healthcare organizations. Covers the need for strategic goals in a healthcare setting, how to optimize resources and staff and effective management for achieving goals. Explores the ways in which healthcare delivery is evolving, with greater emphasis on patient value and less on volume, while evaluating ways medical facilities are working to meet these challenges. A math-intensive course on studying health patterns across populations, including the statistical prevalence of illness and disease. Professionals planning a career in research or clinical practice in infectious diseases learn how to manage and evaluate large volumes of data to understand health trends and recognize patterns. An overview of systems for data storage and retrieval of healthcare information, including patient records and treatment. The course examines how workflow is an important part of designing usable information systems. Students learn that, in healthcare, poorly designed or ineffective workflow systems can create problems both for the medical facility and the patients it treats. Coursework for the master’s degree in nursing usually includes a final exam for each class, as well as periodic testing. Lab work may be an additional part of courses covering clinical subjects such as blood testing and tissue sampling. To graduate, students may have the option of completing either a master’s thesis or a capstone project. The master’s thesis is an independent research project that includes designing a study of some aspect of the nursing field and performing all aspects of the research process. The thesis examines a theory or knowledge gap, and delivers results in original, clearly defined new knowledge. A capstone project is a scholarly process that addresses a clinical problem in nursing practice. The project gathers and examines evidence and applies it to a clinical situation. The final product of the capstone project demonstrates mastery of work accomplished throughout the program and must be presented as a manuscript of publishable quality. Here is a sampling of specialties open to the graduate with a master’s degree in nursing. Assists the anesthesiologist during surgery and surgery preparation. Requires a master’s degree in nurse anesthesia as well as experience in a hospital setting. The nurse anesthetist attends to the patient before, during and after surgery in a hospital setting or dental practice. Nurses with this specialization often hold a leadership role in emergency facilities and oversight of intensive care units. Professionals in this specialization care for patients who have experienced invasive surgery, life-threatening accidents, trauma and organ failure. May work in the community as part of a public healthcare organization, helping families with children lead healthy lives. Nurses in this profession may serve as the face of a public healthcare organization by managing a community health facility, soliciting state and local governments for budget funding and ensuring patient care meets accepted standards. Focuses on the care and comfort of patients facing prolonged recovery from injury or illness. Emphasis on pharmaceutical knowledge. These nurses specialize in the care of patients with chronic or debilitating pain. They are experts on pain management interventions and techniques, whether through prescription narcotics, chiropractic medicine, nerve stimulation and exercise or diet consultation. Supervise and manage nursing staff in a healthcare clinic or hospital. Nurse administrators plan staffing needs for various operating shifts, develop talent on their team and consult regularly with physicians on the operating performance of the nursing unit. Work for pharmaceutical companies in the evaluation and testing of new drugs, assist physicians at teaching hospitals and universities with their research or work for government agencies such as the Centers for Disease Control. This career path requires a strong foundation in statistical analysis. A nurse consultant works with medical facilities to improve efficiency, streamline operations and enhance healthcare as delivered by the nursing staff. Identify inefficiencies and areas for improvement. Nurse consultants are independent contractors who set their own hours and fees. Supports and develops dermatology nurse practitioners, while assisting all NPs with leadership and guidance in the field of dermatology. The mission of NADONA is to be the leading professional organization for current and aspiring nursing leaders thru professional development, board certification, and clinical expertise related to the promotion of health and wellness of individuals in long-term care and post-acute care. The association’s mission is to advance the health and quality of life of individuals and families experiencing obesity, and to promote best practices of holistic nursing care for bariatric patients. The mission of the NACNS is to advance the unique expertise and value the clinical nurse specialist contributes to health care. The NALPN’s mission is to foster high standards of nursing care and promote continued competence through education/certification and lifelong learning, with a focus on public protection. There are a variety of careers available in the field of nursing, especially for those with a master’s degree. Here is a small selection of potential careers to pursue, but students should keep in mind that additional certification, licensure and experience may be necessary in addition to a master’s degree. According to data from Nurse Journal, the average salary of a graduate with a bachelor’s degree in nursing ranges from $42,343 and $81,768. With a master’s degree in nursing, the earnings potential increases to $62,281 and up to $195,743 over the course of the graduate’s career. Additionally, there are many job opportunities open to nurses with a master’s degree that go beyond typical bedside nursing. These alternative career paths allow nurses to work within the healthcare field but often in unexpected or highly advanced ways. A nurse with a master’s degree has an increased potential for career advancement over a nurse without a master’s degree. When evaluating a program, look for schools that are accredited by the Commission on Collegiate Nursing Education (CCNE) or by the National League for Nursing Accrediting Commission (NLNAC). These are the two accreditation organizations that certify a program meets the requirements for a master’s degree in nursing. Between them, the commissions certify curricula for the Master of science in nursing, master of nursing, master of science degree with a focus in nursing and the master of arts degree with a focus in nursing. Accreditation provides the assurance that a master’s degree in nursing program does, in fact, deliver the necessary skills and knowledge accepted in the field. The value of a master’s degree also depends on the respect employers have for schools. The graduate of an unaccredited nursing program is not going to be viewed as favorably by prospective employers as the graduate from an accredited and widely respected program. Look for accreditation status on the website of any considered program or school. If none is listed, contact the program and ask. Nursing scholarships for graduate students are highly competitive and tend to be school specific, so one approach is to look at available scholarships within the program you select. Look for scholarships for nursing graduate degrees from the American Association of Nurse Practitioners and Nurse Education Funds. Competition for grant dollars is no less fierce than for scholarships. Amounts vary by organization, but typically range from $1,000 to $10,000. Look for top grants awarded by Walden University and Nursing@Simmons. A variety of financial packages are available for nursing students seeking to borrow for tuition costs while pursuing graduate studies in nursing. As a first step, fill out a federal FAFSA form to determine eligibility. The USHSC will pay for some or even all of your tuition in exchange for of 2 to 4 years of employment in a rural area that is medically understaffed.